13.3 hh black unstarted morgan mare, could go any direction! 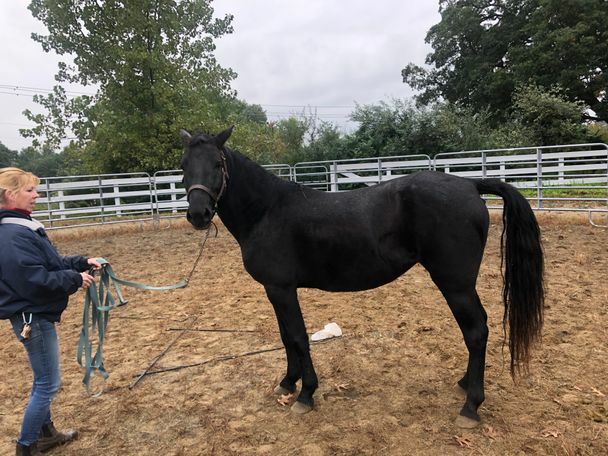 Dixie is an adorable 5 year old jet black Lippitt Morgan mare who wants to be somebody's next project! Dixie came to us not in great condition and still needs a few groceries and a little help with her skin/coat quality but is going to be a real looker when she's all filled out. 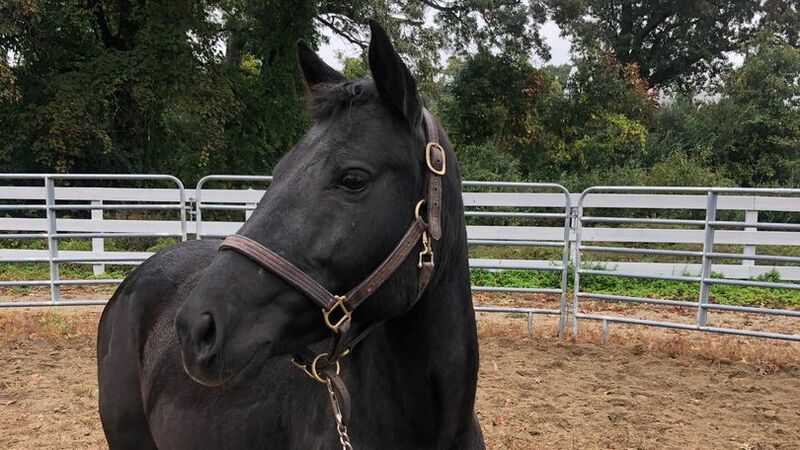 Dixie is a nicely built 13.3 hands and therefore looking for a small adult or teenager who has experience starting horses under saddle and wants a clean-slate. She's a cute mover and could go in any direction discipline wise, she has lunged over jumps and displayed a great jump! She has had tack on her and done well, is brave being separated from the herd and is a very quick learner! Dixie turns out really well with other horses and has been terrific to groom/work around but is not suitable for a child at this time because of how green she is. Dixie also loves attention and treats, and would really love a person of her own! To meet Dixie, please email farmadoptions@mspca.org.